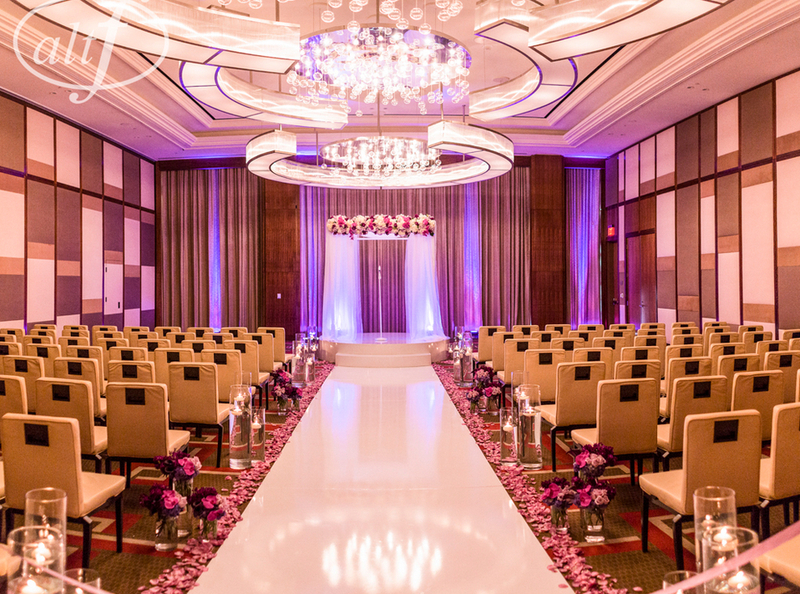 The Mandarin Oriental Las Vegas Wedding Venue is capable of providing an all-inclusive wedding experience. From dining to lodging, this stellar hotel will care for each of your guests with ease. The hotel's contemporary interior style pairs beautifully with a variety of wedding ideas. Decor will help enliven the hotel's neutral spaces with festive color. The Mandarin Oriental have a variety of rooms to choose from when planning your special day. A poolside ceremony can be fun and casual, inviting guests to let loose. Or a meeting room can quickly transform to a traditional wedding space allowing you and your love to wed overlooking the skyline. The Ballroom space is an elegant room that serves as an adaptable reception site. You and your guests will enjoy the Ballroom views over the city as you dine and dance into the evening. 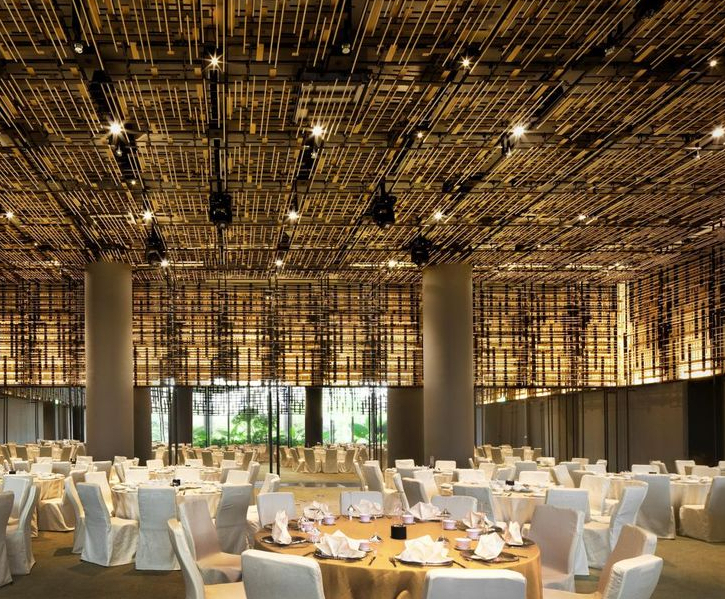 A chandelier light fixture provides the Ballroom an extravagant yet modern feel. 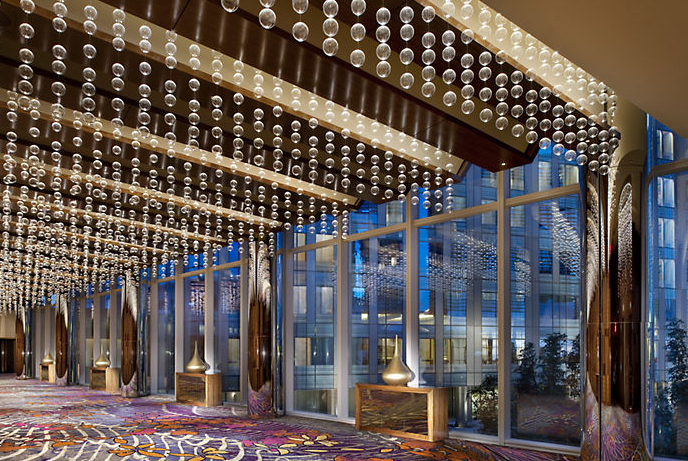 Mandarin Oriental Las Vegas Wedding Venue Capacity Max Indoor Ceremony: 500 guests, Max Outdoor Ceremony: 400 guests, Max Indoor Reception: 500 guests.